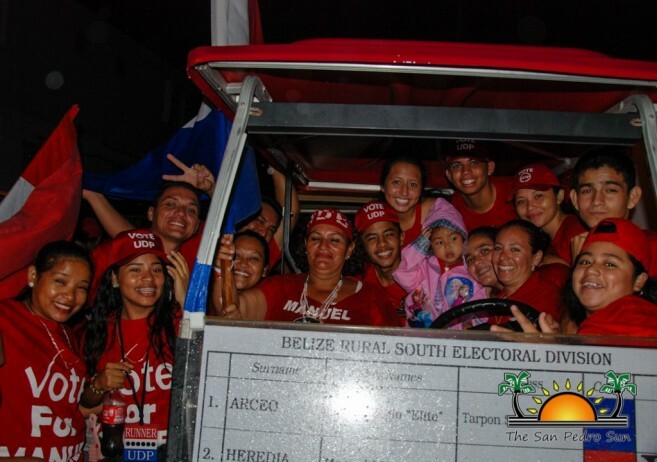 Manuel Heredia Jr. has been re-elected as the Belize Rural South (BRS) Area Representative during the 2015 General Election, held on Wednesday, November 4th. The election process in BRS kicked off at 7AM with the winner being announced at 10:30PM. 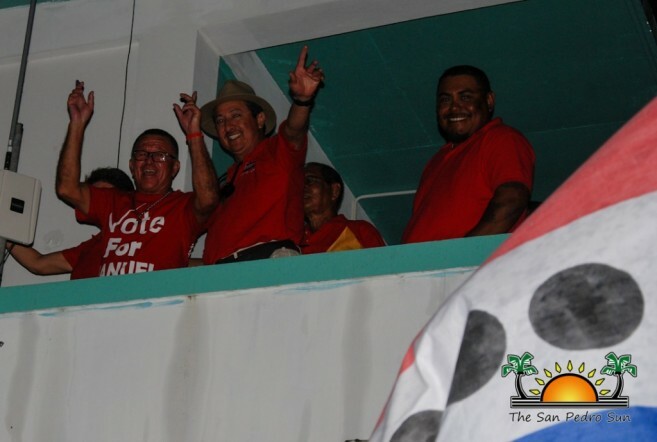 Heredia was elected by the people to serve Ambergris Caye, Caye Caulker and St. George’s Caye from 2015 to 2020. As for the rest of the country, UDP has maintained control of Central Government, winning 19 out of 31 seats, making Dean Barrow the Prime Minster of Belize for the next five years. 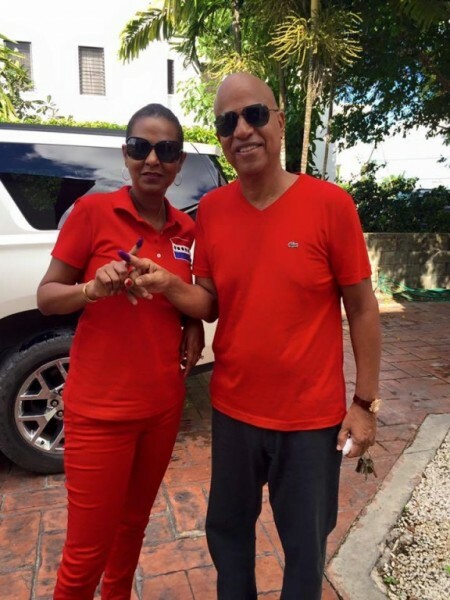 With this win, Dean Barrow makes history as a third term Prime Minister of Belize. As early as 5AM, the parties’ supporters were on the ground preparing for the day. BRS was divided into two polling areas, with Ambergris Caye residents voting at San Pedro High School, Polling Area 37, and Caye Caulker and St. George’s Caye residents voting at Caye Caulker Roman Catholic Primary School, Polling Area 34 and 38. The mass of electorates visiting the polls was observed during the first and last hours of the allotted voting time. 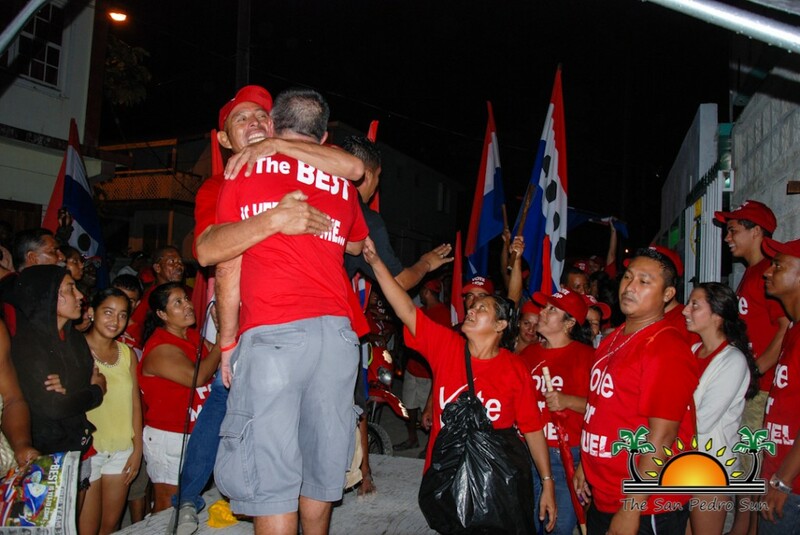 Contesting for BRS were Jose “Elito” Arceo for the PUP, Manuel Heredia Jr. UDP and Robert “Bobby” Lopez of the Belize Progressive Party (BPP). The election process for BRS was overseen by Returning Officer Martin Alegria and Election Clerk Leodan Torres. 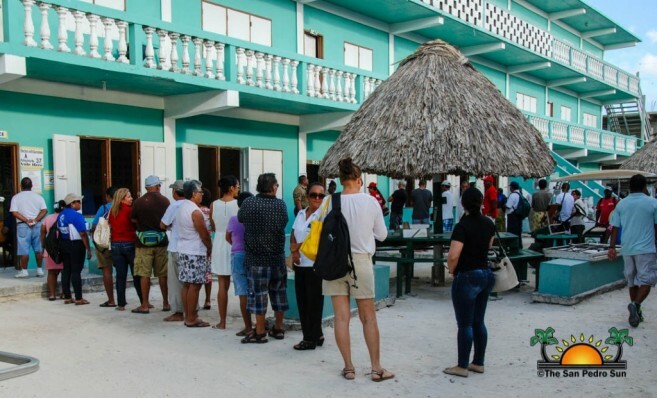 Both the San Pedro Police Department and Caye Caulker Police Department were on hand throughout the election process to ensure law and order was maintained. By 1PM, Alegria reported a 33.2% voter turnout for BRS with 2,906 out of 8,749 registered voters having cast their vote. “The process inside the polling area went smoothly. We didn’t have any problems. Outside of the polling stations there was no animosity, everything was peaceful. I worked closely with the San Pedro Police Department to address all issues that arose,” said Alegria. 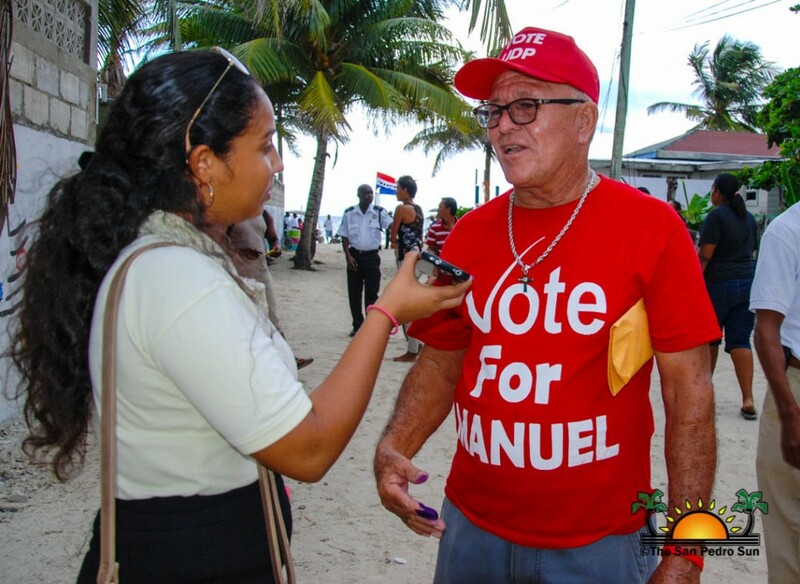 By 5PM, BRS had seen a 60% voter’s turnout with 5,249 out of 8,749 Belizean’s exercising their right to vote. Prior to the end of the election process, both Arceo and Heredia provided statements to The San Pedro Sun expressing their optimism. “Everything went the way we planned. It was really nice to see everyone come out and participate in this democratic process. Our machinery was greased and performed excellently. I am happy to report that our supporters came out on their own and casted their vote,” said Arceo. At the closing of the polls, tension grew as the police tightened their security efforts to ensure safety at the polling area and integrity of the election process. Ballot boxes from Caye Caulker were transported to San Pedro by the Belize Coast Guard personnel. Supporters for all parties gathered near the San Pedro High which served as the official counting station. Along with BRS election officials, the candidates and their campaign managers were inside the counting station as the ballots were tallied one by one. By 10:30PM BRS had a new Area Representative as Alegria emerged from the counting room and announced the final statistics. Heredia won the election in BRS with 3490 votes. Arceo garnered 2368 votes, while Lopez received 187votes. A total of 6202 voters cast their votes in BRS, accounting for 70.89% of the total registered voters in the constituency. 157 ballots were rejected during the counting process. Crowd supporters for the UDP cheered as their candidate victoriously emerged. In an interview with The San Pedro Sun, Heredia expressed his excitement over his victory, thanking all those who supported him. “I feel very happy about the results. We did better than the last time in 2012. It is all about the love and affection I have for my people. I will continue to do a great job for Belize Rural South. My work starts from tomorrow and I will make this area better. I will continue my hard work for the people and ensure development continues. In my term, tourism will grow in both San Pedro and Caye Caulker. I’m thankful for Dean Barrow for supporting me in my contention, but most importantly I am thankful for my people for believing in me,” said Heredia. 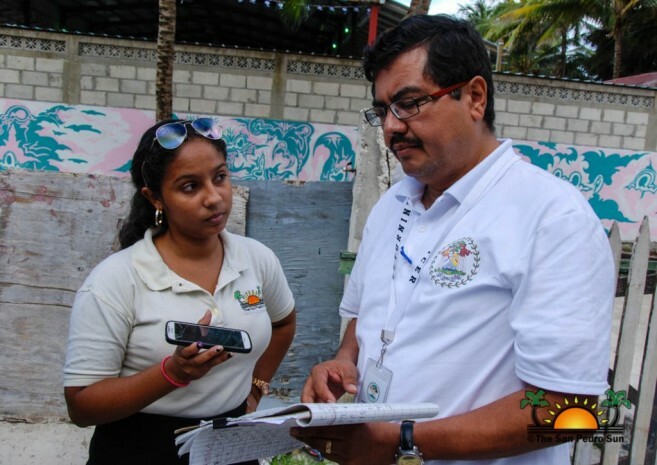 A total of 72.68% of Belizeans exercised their democratic right to vote throughout the county. 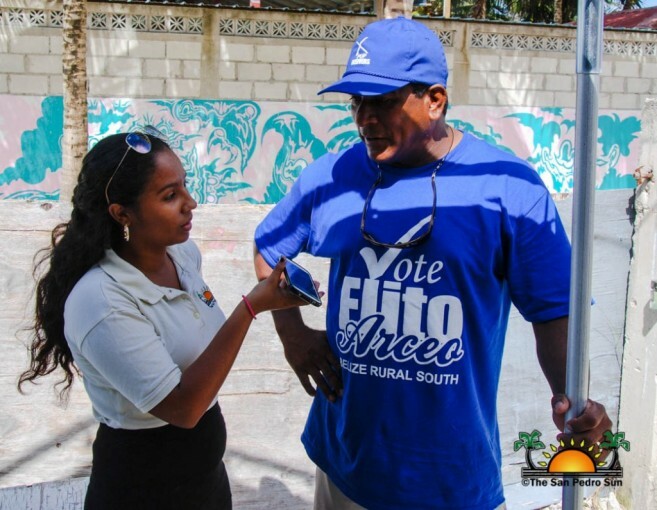 Voter’s turn out per district as is as follows: Belize District at 66.54% with 44,069 out of 66,227 registered voters; Cayo District at 73.07% with 32,970 out of 45,124 registered voters; Corozal District at 79.69% with 20,799 out of 26,101 registered voters; Orange Walk District at 79.99% with 23,491 out of 29,368 registered voters; Stann Creek District at 70% with 10,880out of 15,544 registered voters; Toledo District at 72.49% with 10,310 out of 14,223 registered voters. The UDP took the election, winning in 19 out of 31 constituencies. Overall the PUP won 12 seats, the UDP won 19 while BPP won 0 seats. 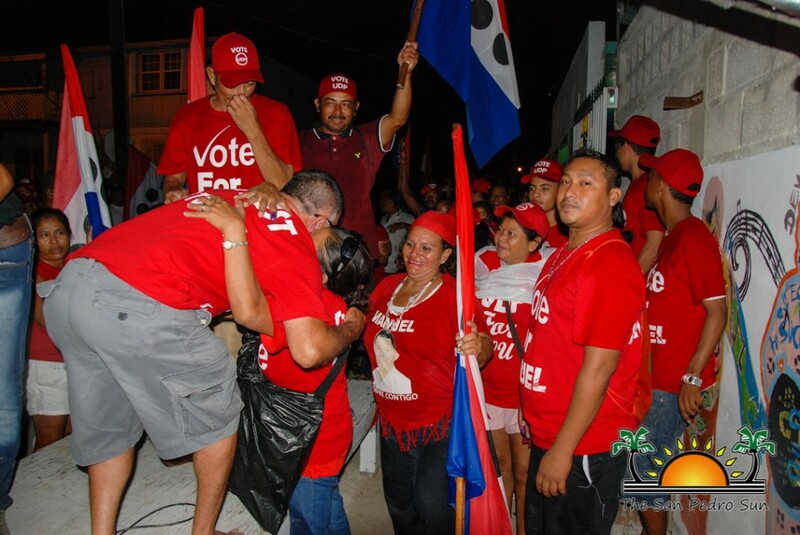 The Belize Central Government for 2015 to 2020 consists of: Fort George – Said Musa (PUP); Pickstock - Wilfred Elrington (UDP); Caribbean Shores – Kareem Musa (PUP); Freetown – Francis Fonseca (PUP); Albert – Tracy Panton (UDP); Port Loyola – Anthony Martinez (UDP); Mesoptamia – Michael Finnegan (UDP); Collet – Patrick Faber (UDP); Lake Independence – Cordell Hyde (PUP); Queen’s Square – Dean Barrow (UDP); Belize Rural North – Edmond Castro (UDP); Belize Rural South – Manuel Heredia (UDP); Belize Rural Central – Beverly Castillo (UDP); Corozal North – Hugo Patt (UDP); Corozal South East – Florencio Marin Jr. (PUP); Corozal Bay – Pablo Marin (UDP); Corozla South West – Dr. Angel Campos (UDP); Orange Walk North – Gaspar Vega (UDP); Orange Walk East – Elodio Aragon Jr. (UDP); Orange Walk South – Abelardo Mai (PUP); Orange Walk Central – Jon Briceno (PUP); Cayo North – Dr. Omar Figueroa (UDP); Cayo North East – Orlando Habet (PUP); Cayo West – Erwin Contreras (UDP); Cayo Central – Rene Montero (UDP); Cayo South – Julius Espat (PUP); Belmopan – John Saldivar (UDP; Dangriga – Frank Mena (UDP); Stann Creek West – Rodwell Ferguson (UDP); Toledo West – Mike Espat (PUP); Toledo East – Oscar Requena (PUP). The San Pedro Sun congratulates all those who exercised their right to vote in the 2015 General Election and congratulates Heredia on his re-election!